In the wake of all the doom and gloom reports about the "dwindling" traditional print publishing industry, I totally feel like I'm repeating myself, but let me just say it again here: graphic novels about food are gaining ground these days by leaps and bounds. From Kami no Shizuku ("The Drops of God"), the upcoming comic cookbook from Dirt Candy chef/owner Amanda Cohen, and the much-awaited Anthony Bourdain collaboration Get Jiro! 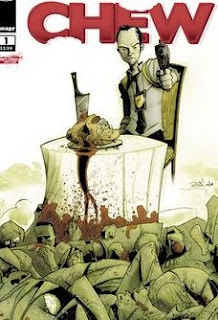 needless to say, foodie graphic novels are here --and they're not going anywhere any time soon. And now in addition to this new book genre, according to Deadline Hollywood, Showtime has bought us a script for Chew, billed as a "quirky half-hour cop show" based on John Layman and Rob Guillory’s eponymous "Chew" comic series. Imagine sitting in a waterside eatery and the next thing you see, is yourself (and fellow diners) floating down river. Well, seems Jeff Ruby's Waterfront restaurant did just that, and broke free from its dock on the Ohio River with at least 150 patrons on board. 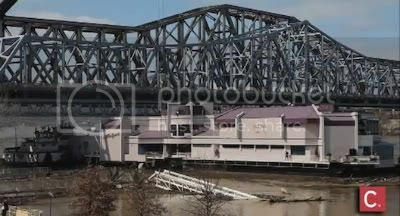 The restaurant is currently lodged under the Clay Wade Bailey Bridge, which is keeping it from drifting down the river. The barge broke from its moorings on the flood-swollen waters, then drifted downriver during the dinner rush before emergency crews rescued 83 patrons using a gangplank of ladders and ropes. Tugboats kept it from moving farther downriver and eventually towed it back from whence it came (ie, up the river). Owner Jeff Ruby is unsure he'll reopen as the accident caused six-figures worth of damages. Watch below as locals gather on shore to watch the gigantic restaurant being pulled upstream. Guinness: Tastes Better in New York... or Ireland? In all my travels to Ireland, primarily Dublin, I'll admit not really remembering if I ever ordered a Guinness stout on tap in any of my pub visits. 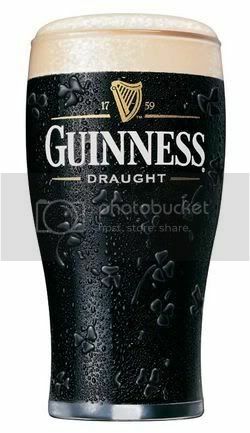 But does a pint of the black stuff really taste better in Ireland than anywhere else? The answer, is yes. And although scores of bars worldwide claim they serve the best pint of Guinness in the world, the majority of avid beer drinkers agree that Guinness simply tastes better in Ireland -- than anywhere else. And it seems that now there's even scientific proof. Read more about it here and HAPPY ST. PATRICK'S DAY ! 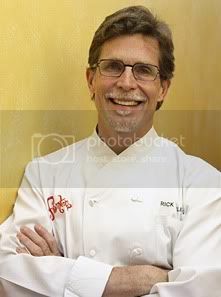 It seems super star Chicago chef, cookbook author, and Tex-Mex enthusiast, Rick Bayless, found himself stewing in the middle of an unexpected media stir recently, for tweeting about the preparations for a White House state dinner honoring Mexican President Felipe Calderon. Okay. Yeah, I know. So far, Rick's alleged faux pas sounds about as harmless as tweeting about a recent trip to Williams-Sonoma, or why those microwave recipes you just sent your kid in college don't seem to be working out, right? This ittty bitty tweet soon led to an article in the Chicago Sun-Times reporting that Bayless' public tweeting ran counter to efforts by the "White House press operation to downplay the glamor aspect of the state dinner." In addition, it was reported that Bayless had tweeted from directly inside the White House, a clear violation of White House rules. But Bayless immediately came out swinging, asserting that he never tweeted from the White House in the first place in a follow-up tweet, where he demanded an apology.